Remember the macaroon maker that I posted a while back and tried in vain to find them at Citysuper? 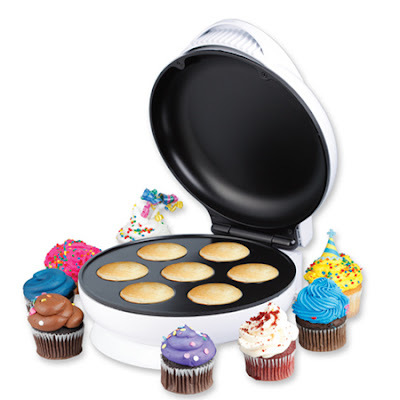 Well now I’ve found a mini cupcake maker that looks like it’s foolproof AND save me a lot of time as apparently cupcakes will be ready in 5 minutes. So basically all I need to do is make a bunch of batter, freeze it and when I’m in the mood for cupcakes, I just need to pour it in and et voila, 5 minutes later, I’ve got me some fresh cupcakes or brownies or muffins… ingenious! NEED to have this..no question..